Positive Energy Outdoors offers personalized, small group rock and ice climbing instruction and guiding in Duluth and on the North Shore of Lake Superior for beginning to advanced climbers. Take an adventure of a lifetime with expert climbing guides and picturesque river and Lake Superior views. Rock climbing sites include the Whoopie Wall and Ely's Peak in Duluth, and Shovel Point at Tettegouche State Park, Carlton Peak at Temperance River State Park, Silver Cliff and Palisade Head on the North Shore of Lake Superior. Ice climbing sites include Casket Quarry in Duluth, Gooseberry Falls State Park, the Cascade and Devil Track Rivers on the North Shore of Lake Superior, and Robinson Park in Sandstone. Positive Energy Outdoors provides rock and ice climbing guiding and instruction 7 days a week. The rock climbing season runs from mid-April through late October. 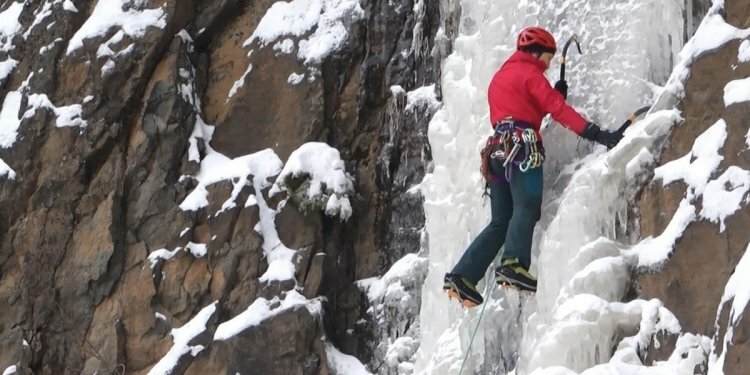 Ice climbing season runs from December-mid-March. Call about conditions if you are in the area during the beginning or end of the season. Minimum age for rock climbing is 8. Minimum age for ice climbing is 10. Most climbing sessions begin at 8 am, as climbing sites are first come-first served. Receive an introduction that includes a safety and gear overview, climbing and bealaying technique and coaching, and an introduction to anchor set up. More experienced climbers can explore topics including intermediate and advanced climbing technique, self rescue skills, rappelling, and anchor building instruction. Hear stories about the unique natural and geological history of the region and the rocks/ice you are climbing on from Blake Cazier, one of the region's most experienced climbing guides. Experience for yourself why Duluth and the North Shore attract climbers from around the world! Advance reservations are required, as space is limited and climbing sessions often sell out quickly. To maximize your chances of getting the day and time you prefer, please book well in advance. Or call (218) 302-4442 to purchase by phone up to 48 hours in advance. To check on last minute availability within 48 hours, please e-mail or call us directly.